Q. 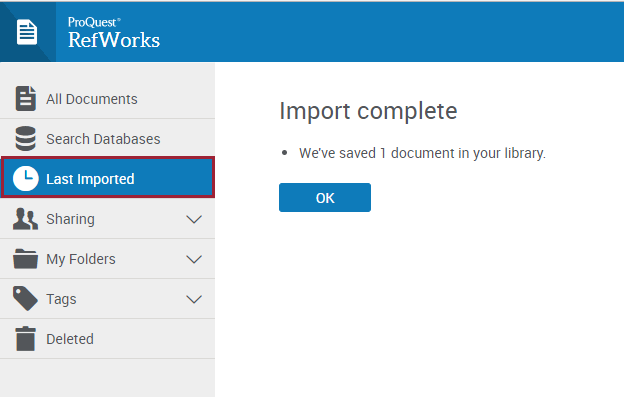 How do I import search results into ProQuest RefWorks from the Library Search Box? You will be directed to the RefWorks website. Choose ProQuest RefWorks. 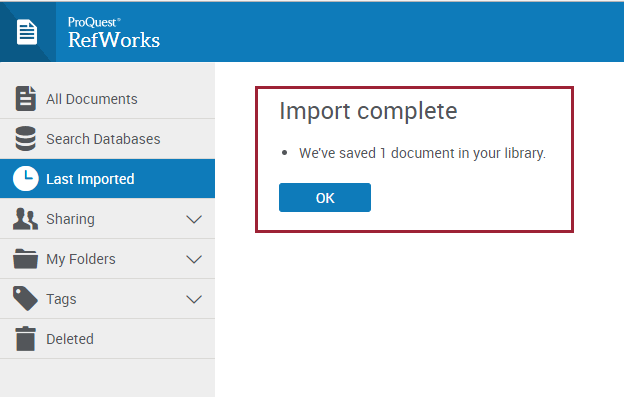 If you have not moved to ProQuest RefWorks, you can choose to sign in to RefWorks Legacy. A Import Complete message should appear. You can also check the Last Imported folder on the left hand side for the reference. If you have clicked on an item record from the search results page, click on the RefWorks button underneath 'Send to'.